Ever checked the mailbox and think to yourself, how do these people get my address? Why does Citibank keep sending me credit card applications? Why does PETA think I want to give them money? Etc., etc. etc. It’s a nightmare and it’s a sad waste of paper. But guess what? Yes! 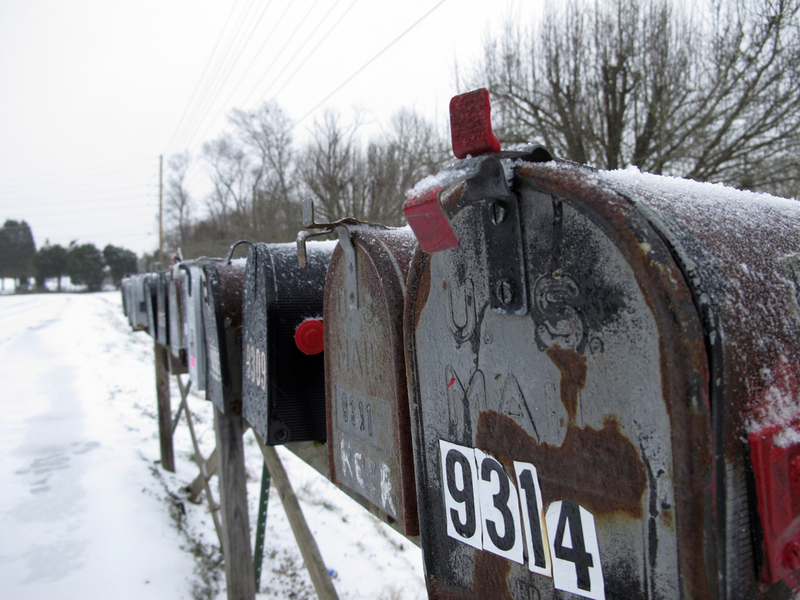 The Internet can disrupt your physical mailbox. Updater.com is a new online platform service for managing your offline mail. It gives you control over who can access and use your postal address, allows you to simplify the change of address process and stop unwanted paper mail. It’s like an Unsubscribe button for real life. With over 90 billion pieces of junk mail sent through the postal system and roughly 40 million Americans moving each year, Updater hopes to make people’s lives easier. We caught up with Updater.com’s CEO, David Greenberg to discuss the launch and how Updater is a practical and affordable solution to solve the ongoing problem of junk mail flooding U.S. households. To date, tens of thousands of new movers have already visited the site and thousands have used Updater to change their address. CBM: How does the service technically work? David Greenberg: Updater acts as its users’ authorized agent to help them manage and protect their postal address. Through our Address Change service, we simultaneously transmit a user’s new address to the Postal Service and any business, school, or organization in the Updater Network that the user selects. While the Postal Service will forward mail, it’s still necessary for people to actually update the businesses and organizations that they have relationships with. That can be a complicated and time-consuming process. That’s where we come in, we make it simple and save our users tons of time. And it’s free! Through our Address Privacy service, users who want their address to remain private (to eliminate unwanted mail, protect their identity and help the environment), can instruct us to send opt-out notifications on their behalf to data brokers who compile marketing lists and sell their information. We will also send “do not mail” notifications to any company that a user no longer wants to receive paper mail from. We have essentially created the first spam filter for paper mail. CBM: How is Updater.com better than similar services out there? DG: There are a few companies that offer some similar services, but we’re carving out a completely new space for consumers—we are the first comprehensive online platform for users to control the privacy and communication “settings” for their postal address. Through our site, users can efficiently control who can access, and use, their postal address. This level of control is not available anywhere else. CBM: How long it will take to see results? DG: With regards to “do not mail” and address change notifications that we send, we see most organizations comply with the requests within a few days. If you are moving and you purchase Address Privacy, you will notice that your unwanted mail is reduced almost immediately at your new address. If you are not moving, it will take approximately 4-8 weeks before you see noticeable improvements. After 15 weeks, your unwanted mail should be eliminated by at least 80%. It is impossible to stop all unwanted mail, but Updater can dramatically reduce the amount that you receive. I started using Updater 4 weeks ago and since then, no more letters from Citibank have showed up. That is a WIN in my book and I’m excited to see even less junk mail in the weeks to come.